We manufacture various display boxes using 9 mm Medite MDF. All display boxes come complete with pre-cut 2 mm thick Perspex. Listed below are our most popular display boxes. Discounts may be available for bulk orders from Dolls House Clubs etc. 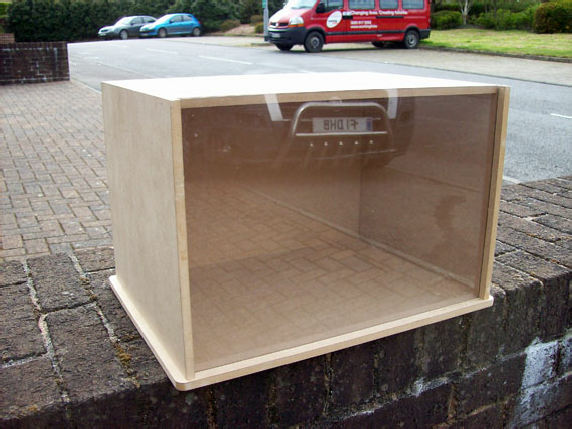 If you require a display box of a specific size, please contact us for further information.